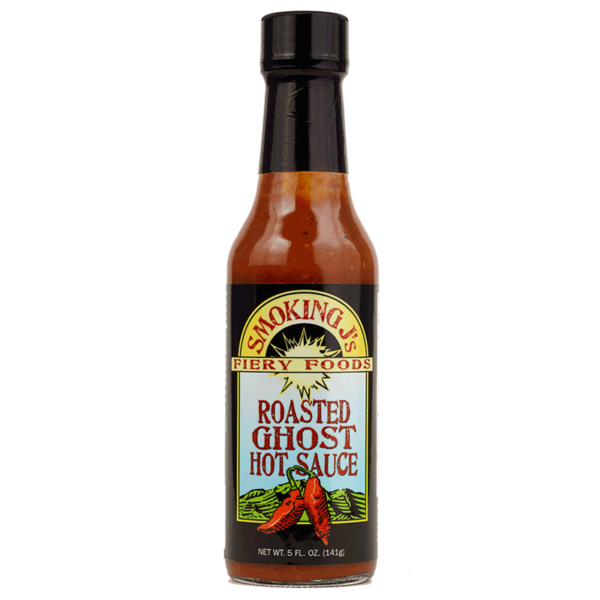 SKU: Roasted Ghost Hot Sauce. Categories: Ghost Peppers, Hot Sauce. 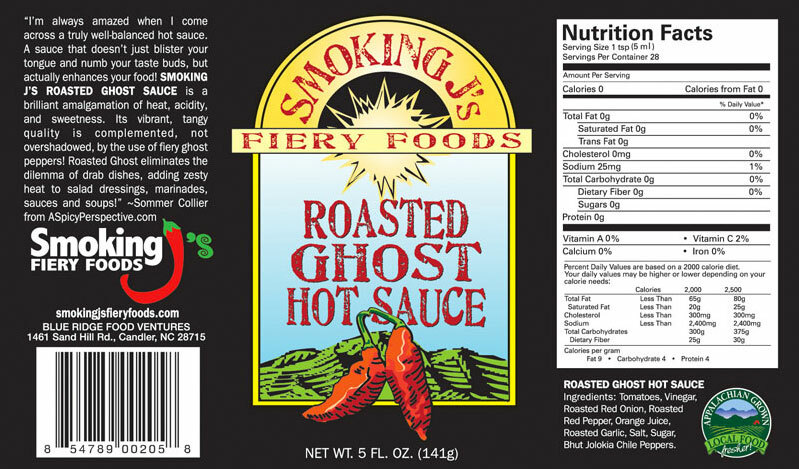 Smoking J’s Roasted Ghost Hot Sauce is a brilliant amalgamation of heat, acidity, and sweetness. 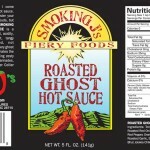 Its vibrant, tangy quality is complemented, not overshadowed, by the use of fiery ghost peppers! This is a truly well-balanced sauce that doesn’t just blister your tongue and numb your taste buds, but actually enhances your food. 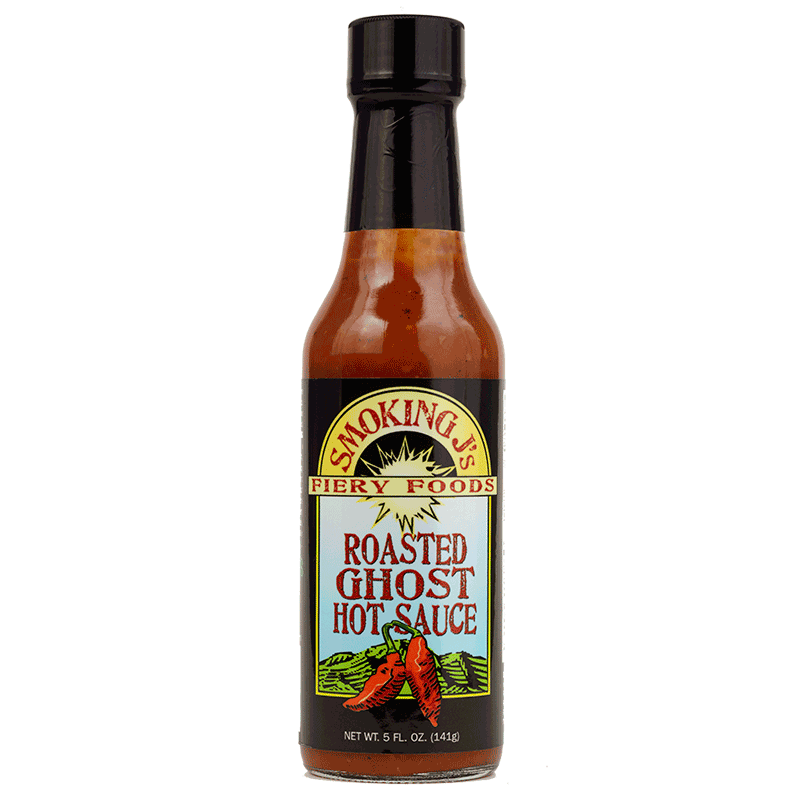 Roasted Ghost eliminates the dilemma of drab dishes, adding zesty heat to salad dressings, marinades, sauces and soups!